A summer of traveling also brings the necessary commutes that go along with it. Whether it’s on the bus, plane, or train, I usually like to have a good book or two to read. Here’s what’s on my summer reading list. What’s on yours? environment on the national agenda, summoning politicians, the media, and the public to attention and action. 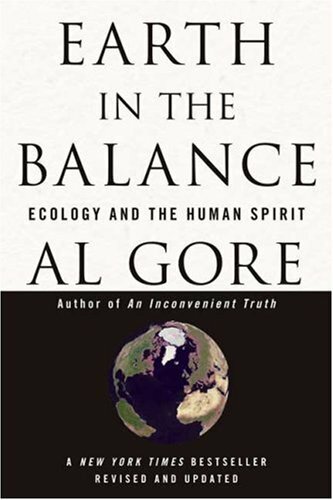 The message remains just as urgent today as it did eight years ago: while much has been accomplished, we must meet a global environmental challenge that reaches into every aspect of our society. When Salak set off for Papua New Guinea at the age of 24, she had at least some sense of what she was getting into. She was familiar with the reputation Port Moresby had for being a dangerous city; young men known as “Rascals” would descend upon the city, robbing and rioting. But Salak had a desire to test herself, to push the limits and find out what she was capable of. She had already crossed Mozambique during its civil wars and just narrowly escaped brutality at the hands of rebel soldiers. Still haunted by that memory, Salak arrives in Port Moresby but soon sets off for the Fly River, eager to see the peoples who live along its banks. When her guide abandons her, she is forced to find another way to explore the river. She is helped by a variety of people, and even as her trip veers off course, she finds more places and people to intrigue her. Salak’s lively writing coupled with her engrossing voyage make this a superior travel memoir. Here is the first American appearance of a book by Irish travel writer Murphy. Originally published in 1965, it is the diary of her bicycle trek from Dunkirk, across Europe, through Iran and Afghanistan, over the Himalayas to Pakistan and India. Murphy’s immediate rapport with the people she alights among is vibrant and appealing and makes her travelogue unique. Venturing aloneaccompanied only by her bicycle, which she dubs Rozthe indomitable Murphy not only survives daunting physical rigors but gleans considerable enjoyment in getting to know peoples who were then even more remote than they are now. 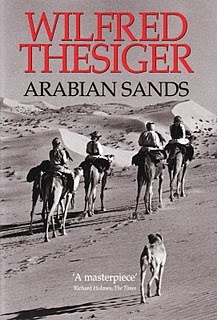 Arabian Sands is Wilfred Thesiger’s record of his extraordinary journey through the parched “Empty Quarter” of Arabia. Educated at Eton and Oxford, Thesiger was repulsed by the softness and rigidity of Western life-“the machines, the calling cards, the meticulously aligned streets.” In the spirit of T. E. Lawrence, he set out to explore the deserts of Arabia, traveling among peoples who had never seen a European and considered it their duty to kill Christian infidels. His now-classic account is invaluable to understanding the modern Middle East. Translated by Mahadev Desai and with a New Preface The only authorized American edition Mohandas K. Gandhi is one of the most inspiring figures of our time. 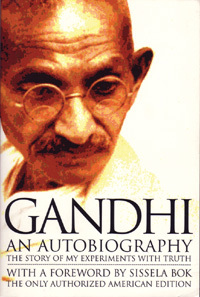 In his classic autobiography he recounts the story of his life and how he developed his concept of active nonviolent resistance, which propelled the Indian struggle for independence and countless other nonviolent struggles of the twentieth century. Even though summer's long gone down here in OZ, it's always great to see someone else's recommended reading! Can't wait to look up some of these – thanx for the tips!! Your blog is like, so cool. Travelling is just the absolute best way to spend money isn't it? We're headed to the US at the end of this year, and getting married there too! 2nd, 3rd & last book look amazing! Ahh I can't wait. 🙂 Reading about Persian carpets now.